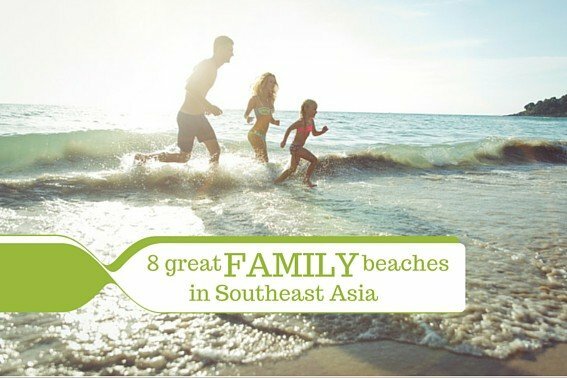 From the well-known white-sand beaches of Thailand to the tropical reef-lined shores of Cambodia, Southeast Asia has some of the world’s best beaches for families. Whether you are looking for water sports, snorkeling, culture, or just a relaxing day on the sand, you are sure to find many great options. Journey’s Within is Trekaroo’s recommended family travel experts for Southeast Asia. We’ve travelled with them and were thoroughly impressed with their highly immersive and responsible trips. View a sample itinerary & let them plan your trip. 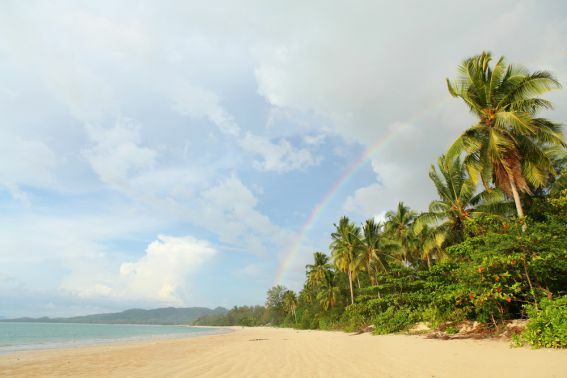 Just a 45-minute drive from the popular island of Phuket, Khao Lak is a quieter, less developed beach area on the mainland which is perfect for families. Developed enough to allow you a variety of shopping and dining opportunities, and located close to the Khaolak-Lumru National Park, there are endless activities for families to participate in such as bicycle tours, snorkeling trips, horseback riding, and boat tours. 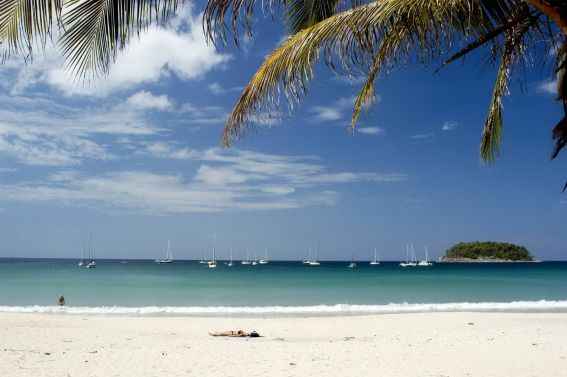 Or, if you would rather just lounge at the beach, there are long white sandy beaches without the huge crowds of Phuket. And for accommodations, there are plenty of great hotel options with family rooms, kid-friendly pools, and children’s centers. Recommended accommodations: The Sands Khao Lak by Katathani Collection or the JW Marriott Khao Lak. We love Kata Beach in Phuket, Thailand for families traveling with older kids. It has a good mix of fun activities available such as sea kayaking, parasailing, a dinosaur-themed mini-golf course, and island hopping tours, as well as a gentle swell perfect for beginner surf lessons during the right time of year. The area around the beach has some great shopping and dining options, and Kata is located far enough away from the seediness of Phuket’s famous Patong Beach that your kids won’t be exposed to the 24/7 party crowd that earns Phuket somewhat of a bad reputation. Recommended accommodations: Boathouse Phuket by Montara. With older kids in tow, we recommend booking Superior Sea View adjoining rooms to give your kids a bit more space than the Family Suite provides. 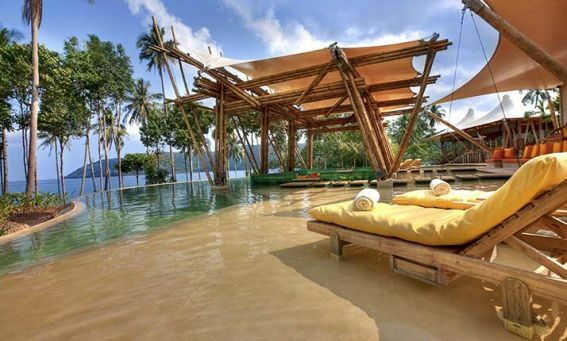 The Soneva Kiri resort on Koh Kood is the perfect luxury beach vacation for families traveling in Thailand. Featuring villas designed with families in mind – including bunk beds in the kids’ rooms and water slides into each villa’s private pool – the accommodations will keep your kids entertained all by themselves. Throw in unique kids play centers, nightly movies at their huge “Cinema Paradiso” outdoor theater, a poolside ice cream and chocolate bar, an observatory for peering deeper into the night sky, and family-friendly dining options (including a tree-top dining adventure in their “Treepod”), and everyone in the family will be happy with this unique and luxurious destination. 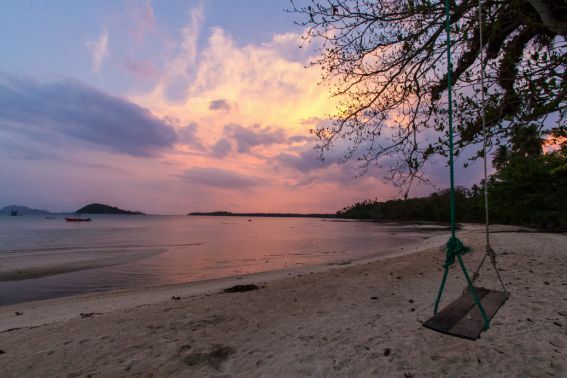 Song Saa Private Island, located in Cambodia’s Koh Rong Archipelago, offers an incredibly luxurious retreat from everyday life combined with the privacy of their very own island. Kids and adults will enjoy snorkeling and sea kayaking through the marine reserve surrounding the island, in-villa movies complete with popcorn, island safaris and rainforest tours led by a member of the resort’s Conservation Team, and the Nature Treasure Hunt in which kids get the chance to learn about the local environment while having fun – all of it executed with sustainability and respect for the natural environment in mind. For families, we recommend the ocean-view villas as each one offers its own private beach, meaning kids can go play in the sand any time they want. Need help planning your family trip to Southeast Asia? We’ve found our favorite family travel experts for Southeast Asia. Your trip couldn’t be in better hands. This little island is not very developed and is a locals’ favorite vacation destination. If you want to get away like the Thai locals do, head to Koh Mak, located in the eastern portion of the Gulf of Thailand. There is nothing in the way of entertainment, nightlife, shopping, or dining – this island is all about the natural surroundings. However, you can explore the local rubber tree plantations, fishing villages, and of course the beaches; the nearby Marine Park allows divers and snorkelers to experience some of the marine life that Thailand’s tropical reefs are famous for. This island is really only for families who want a very local experience with few other travelers around. Known for it’s fantastic surf, wind surfing, kite boarding, and other water sports activities, Mui Ne Beach in Vietnam is a great option for families that want to get active on the water. 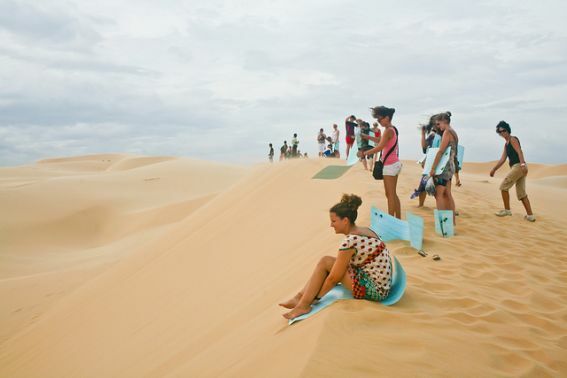 There are numerous options for rentals and instruction in whatever water sport your family wants to try, and if your kids need a day off the water, head over to the nearby sand dunes and fly down them on a plastic sled, or sign up for a quad bike or dune buggy tour of the dunes. A common misconception first-time Southeast Asia travelers have is that everything is going to be inexpensive wherever they go. While there are amazing deals available throughout the region, you will still pay premium prices for luxurious accommodations and high-end restaurants. That being said, for families willing to venture away from the main tourist destinations, there is incredible value to be found. 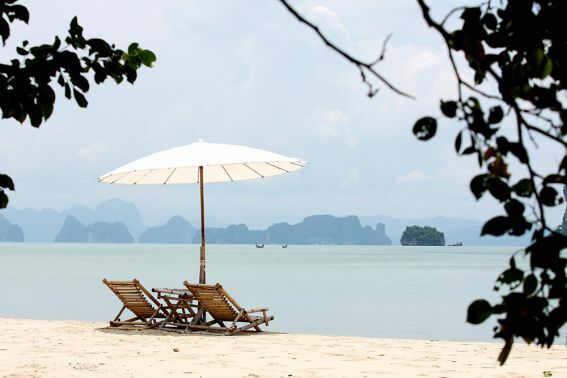 For value-seeking families in Thailand, we love Koh Yao Yai – a small island in Thailand’s Phang Nga Bay between Phuket and the Krabi mainland – which has some of the most idyllic tropical beach views around. Quality family villas on the beach go for less on Koh Yao Yai than anywhere on the main island of Phuket, and the island’s traditional way of life means your family will get a more authentic Thai experience. In Cambodia, the seaside resort town of Kep has a number of great beaches and activities for any family. Famous for its incredible sunsets and seafood, the trick to finding great value in Kep is to stay off the beach at a resort with beautiful views and a great pool, then trek down to the beach area via tuk tuk when you want to play in the sand. Activities nearby include a national park with great jungle hikes, a butterfly farm, and the famous Kep Crab Market. 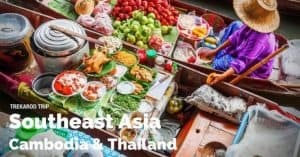 With all of the lovely options available for families traveling to Southeast Asia, we figured we’d mention a few you might want to avoid if you have children along for the trip. Lamai Beach, Koh Samui, Thailand – Not a bad option during the daytime, at night this area turns into a lively bar scene full of backpackers. Not the most family-friendly of environments. Koh Pha Ngan, Thailand – A pretty island in the Gulf of Thailand, Koh Pha Ngan is home to the legendary Full Moon Parties that attract party animals from around the world during the five-day stretch around the full moon. The rest of the time it’s a fairly laid-back scene, but during the full moon parties it turns into an all-day, all-night rave. Planning a trip to a foreign country can be stressful. We found Journey’s Within and they helped plan our trip. Now they can help plan yours too.